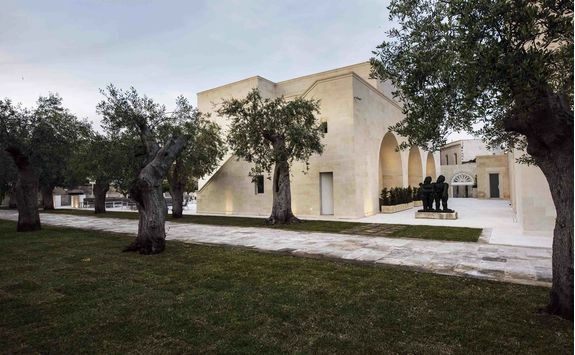 Even the Puglia tourist board struggles to justify "undiscovered" in their marketing these days, but we think there's so much going for Italy's heel that it merits a thorough discovering. 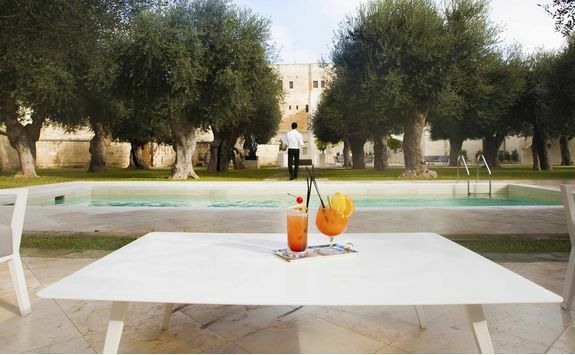 What better way to discover Puglia than on honeymoon? The heady mix of unique culture, stunning beaches and, well, burrata is a total winner. 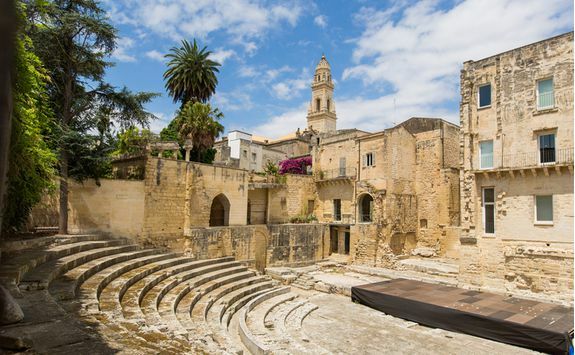 Begin your journey by flying to Brindisi, the city that marks the end of the Appian way. 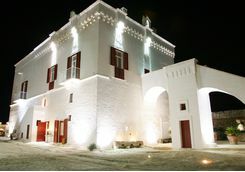 Those combining a Puglian adventure with perhaps a villa in Corfu can up the adventure ante by taking a direct ferry here, giving a great opportunity to witness ancient Greek influence on both side of the Adriatic. 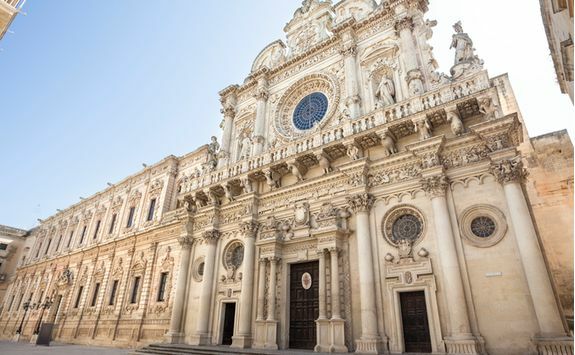 Whichever way you arrive, pick up your hire car and then make the short 30 minute journey south to Lecce. 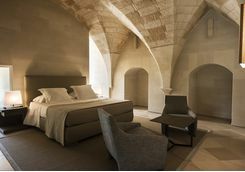 Within the ancient walls of Lecce lies a rare 17th century house - the romantic retreat of La Fiermontina. 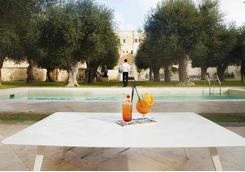 The hotel's private gardens and swimming pool offer plenty of space for relaxation, while within ambling distance of the beautiful baroque town centre. 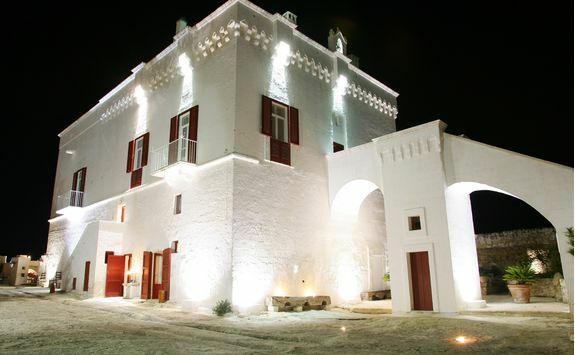 This charming boutique hotel will be your home for the next three nights and an ideal base for exploring the Salento region of Puglia. 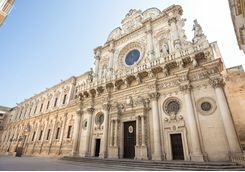 Sometimes described as the 'Florence of the Baroque' or the 'Rome of the South', Lecce is a magnificent architectural confection of palaces and churches, intricately sculpted from the soft local sandstone and adorned with chubby cherubs. Speaking of confection, ice cream is an absolute must here. 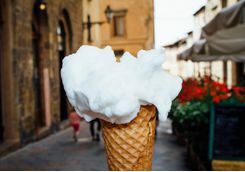 You won't have to stroll far to find it either - seemingly there's a gelateria on every corner. 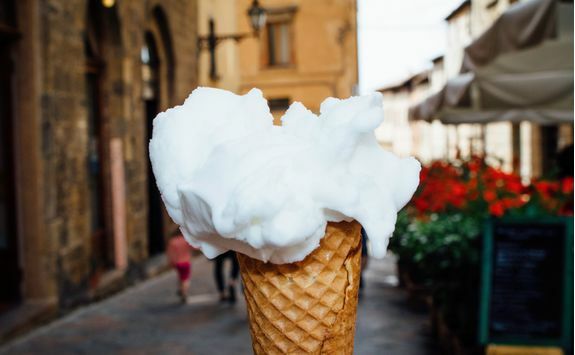 Walk off some of the "worth the cals" treats and wander down picturesque little lanes, marvel at the fantastical façade of the Basilica di Santa Croce before stopping to gawp at the remains of several beautifully preserved Roman sites. 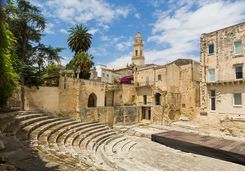 On your third day, throw back the curtains and, over the strongest espresso known to man, make a tough decision: Option 1) explore the area's surrounding sandy beaches, such as Torre dell' Orso or Porto Cesareo; Option 2) head out for some more exploring in Puglia's wonderful whitewashed coastal towns and villages, such as Otranto, Gallipoli (not that one) on the Ionian side, or Santa Maria di Leuca at Italy's southernmost tip. 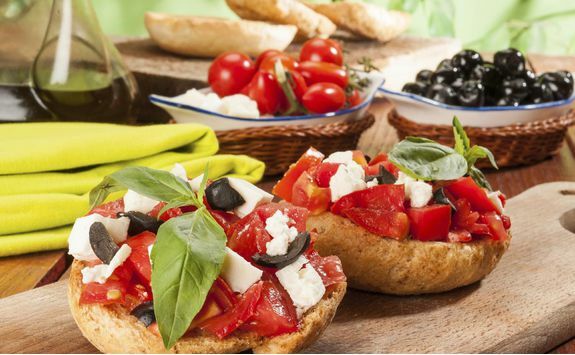 There's no need to argue and gesticulate like an Italian - you can't go wrong with either option. One of the pleasures of any trip in Italy is the days spent exploring quaint little towns and villages by car. 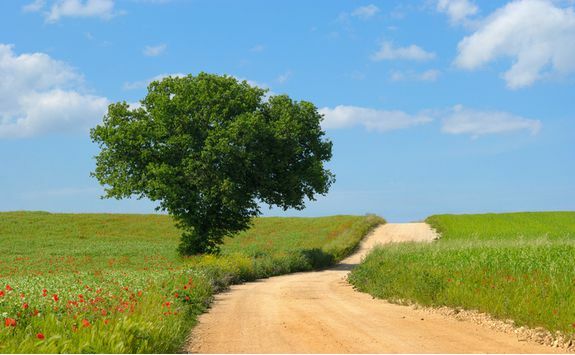 Get off the autostrade and head for the little country roads. You'll generally find the pace and aggression levels from your fellow road users to be a little more agreeable and you'll see so much more. Factor in a couple more hours and stop to test out each little commune's bakery, cafe, church, piazza, market and trattoria. 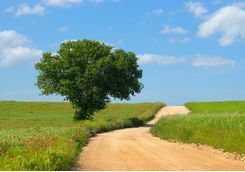 Locals are very friendly in this part of Italy and far less used to seeing tourists, so will often strike up amiable conversations which can be the greatest souvenir of your visit. 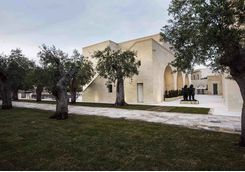 You'll be heading for the outskirts of Bari, along the line of the twin coastlines (Adriatic and Ionian) via Brindisi, so there are plenty of these kind of villages along the way. 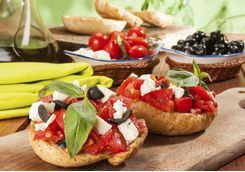 Whatever you do though, it's probably best to skip Bari itself and Taranto also has very little to recommend it, whilst we're talking about the "don'ts". 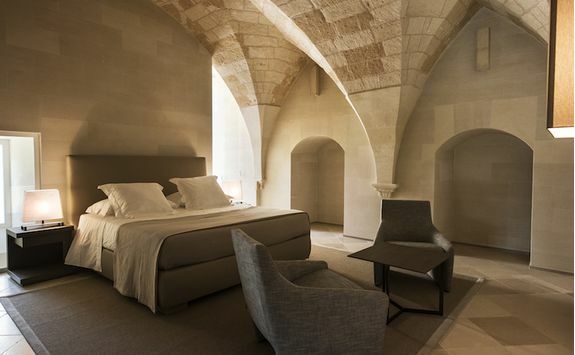 After a day on the road, check into the fabulous Canne Bianche, your base for the remainder of your stay in this amazing region. 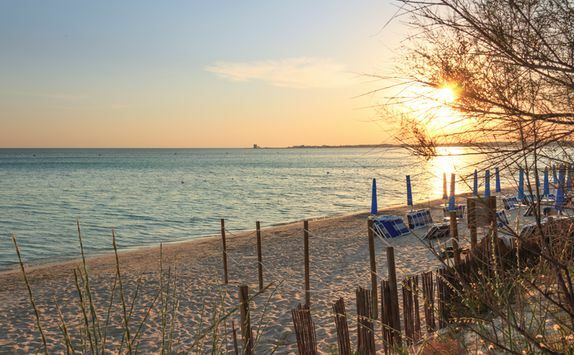 Canne Bianche sits just back from a gorgeous stretch of the Adriatic coast with a beautiful beach - Torre Canne - just a few minutes away. With the very pleasant year-round climate here, you're going to want to spend a decent chunk of your time enjoying the gorgeous sand between your toes, the Mediterranean sun on your face and perhaps the bittersweet taste of an Aperol Spritz on your lips over the next few days. We suggest you do just that for a while BUT, if you don't venture into them there hills behind you, you'll be missing out on a unique cultural treat. Let's talk UNESCO for a moment. Italy has more of its shiny metaphorical plaques for world heritage sites than any other country on earth, and this part of the boot lays claim to a fair few of them. 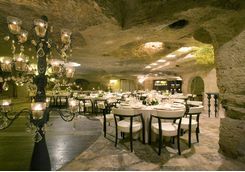 Perhaps the best known is the Valle d'Itria which lies about a 30 minute drive from your hotel. 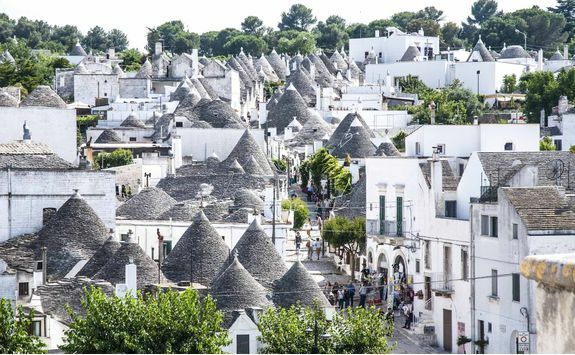 Otherwise known as the valley of the trulli houses, Italy's Hobbiton or "The place with the funny cone houses", if you must. The gorgeous little houses originally doubled up as grain stores due to the cooling effect of their metre-thick walls and whitewashed outers. 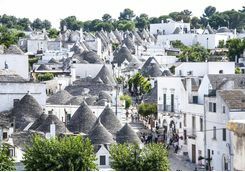 Alberobello is the famous place here and definitely worth a quick look, though it gets very busy with the gawpers and souvenir hunters. Head instead for the likes of Cisternino with its gorgeous piazza, excellent butchers/meat restaurant, bakers (sorry, no candlestick makers on last inspection); and Martina Franca. 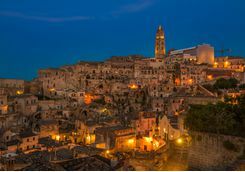 Finally, the experience that no-one should miss - Matera, which strictly-speaking is found just over the state boundary in Basilicata. A whole citadel built into the side of a huge rock formation, it is fascinating by day but just mesmerising by night. 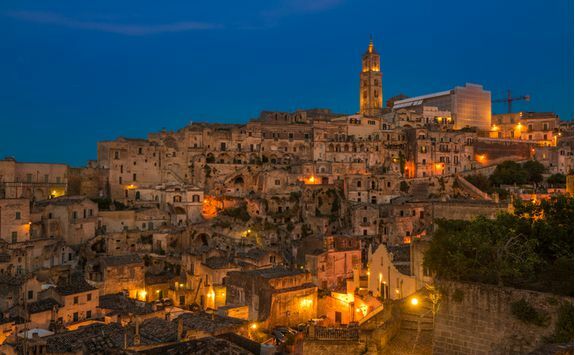 In the 1960s when the Brussels bureaucrats were considering Italy's membership of the pre-pubescent European Commission, a troupe of the grey-suits brigade took a tour around Italy's nether regions and wound up in Matera. 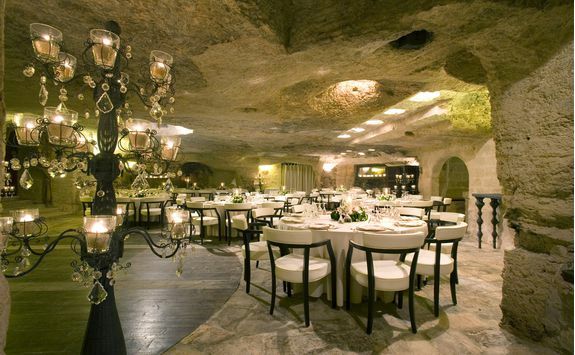 So the story goes, the fact that people were still living in caves there (even if very nice, large caves with the odd mod con here and there) so horrified them that they insisted alternative accommodation be found for the troglodytes before the country's membership application be considered. 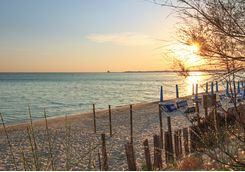 Drive about an hour up the coast to Bari airport, drop off your hire car and fly home.